At the request of the USAID East Africa Regional Mission in collaboration with the Inter-agency Gender Working Group, MEASURE Evaluation developed this compendium with a technical advisory group (TAG) of experts. Under-documented forms of VAW/G and emerging areas (humanitarian emergencies, trafficking in persons, femicide), and preventing VAW/G (youth, community mobilization, working with men and boys). 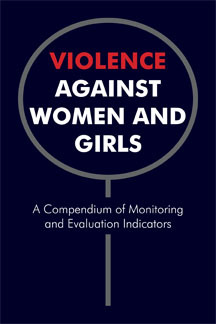 The indicators can also be used by programs that may not specifically focus on VAW/G, but include reducing levels of VAW/G as part of their aims. The indicators have been designed to address information needs that can be assessed with quantitative methods to measure program performance and achievement at the community, regional and national levels. While many of the indicators have been used in the field, they have not necessarily been tested in multiple settings.